In our Designer Matter program, we focus on fundamental questions regarding the creation and design of structured materials with novel functionalities. 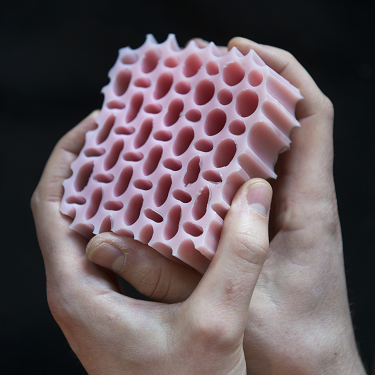 We weave together recent breakthroughs in our understanding of complex physical systems and the unprecedented growth in possibilities for manufacturing new forms of matter – from 3D printing to nanomanufacturing. 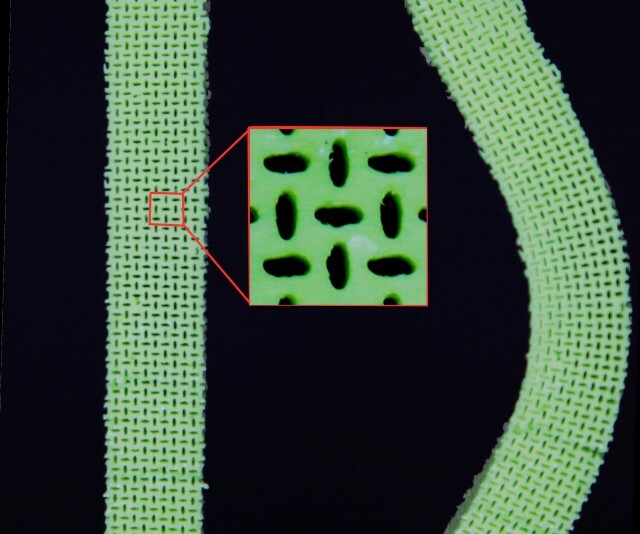 Examples of designer matter are metamaterials that have mechanical or optical properties that do not occur in nature, self organized materials and active bio-inspired materials, which can mimic and sometimes outperform the functions of biological systems. This is a highly promising discipline because it creates entirely new forms of matter, which will lead to applications that have not yet been conceived. Current activities focus on mechanical metamaterials and self organizing matter. This program is strongly interdisciplinary, naturally connects to exisiting AMOLF programmes in photonics and biophysics, and provides natural connections to a wide range of industrial applications. Researchers from the Mechanical Metamaterials group have demonstrated how a rubber beam subjected to less pressure bends faster.This behaviour defies our expectations and appears to undermine the centuries-old bending laws.